Synopsis: Audrey (she prefers Odd) lives in a perpetual state of boredom. She tries to keep busy with small jobs around town and by listening to stories of adventure from a boy in the travelling circus—her only friend Kite. But Odd has always had one thought in her head: I want to go on my own adventure. It appears that Odd's wish finally comes true as a flying island appears over the town and whisks Audrey and Kite away to a far-off place, into a forest of the magical Nightlands where mystic creatures and magical folk roam. It’s up to Audrey and Kite to learn how to master the strange workings of this new world in order to find their way home. About the Author: K J Quint has been writing or at least making up stories for their whole life. That's what creativity is: creating things. Big or small we all come up with so many things that the world is brimming with ideas, they just have a few of them and wrote them down. 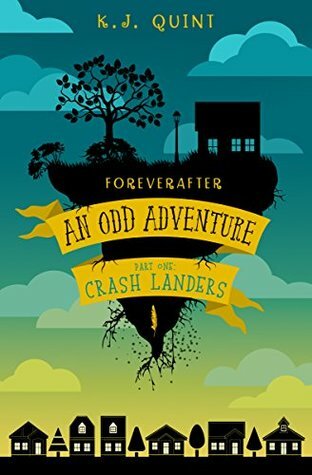 Review: A fun, fantastical adventure that older kids and young adults will love. Odd's love of adventure and joie de vivre is infectious. Follow along as she and the more level=headed Kite go in search of adventure and find so much more.